Got a Trek Verve 2 ... very heavy bike and need something much lighter to take me into my 70's since I need to lift the bike into my car or down stairs in my house. Just did a quick search, and if there's an REI near you, I suggest stopping in to ask about the "Ghost" brand bikes that they carry. They include three models of aluminum step-through bikes (2017 models, currently on closeout). The step-through bikes are/were available in three sizes, the smallest of which should be a good fit. The one on closeout at $800 looks pretty good. Tires are 35 mm wide, so they're suitable for street and moderate trail riding. "Median weight" of about 29 1/2 pounds, which might be as light as you can expect for a trail-capable bike with a step-through frame. Comes with fenders and a rear rack, which you could remove to save a few pounds. Your post is showing up. There's no "joining". You just have to be 65 y/o. Have fun. I've been out of town and missed this. Was it your birthday? Happy birthday. Last edited by FrenchFit; 07-05-18 at 10:25 PM. I have read this thread, do any of you ride bikes? I ride a cruiser 2 to 3 hundred miles a month. I build my own bikes and tune up my friends bikes. I actively try to get older people to ride. I referb cruisers and mountain bikes and try to fit them to new riders. 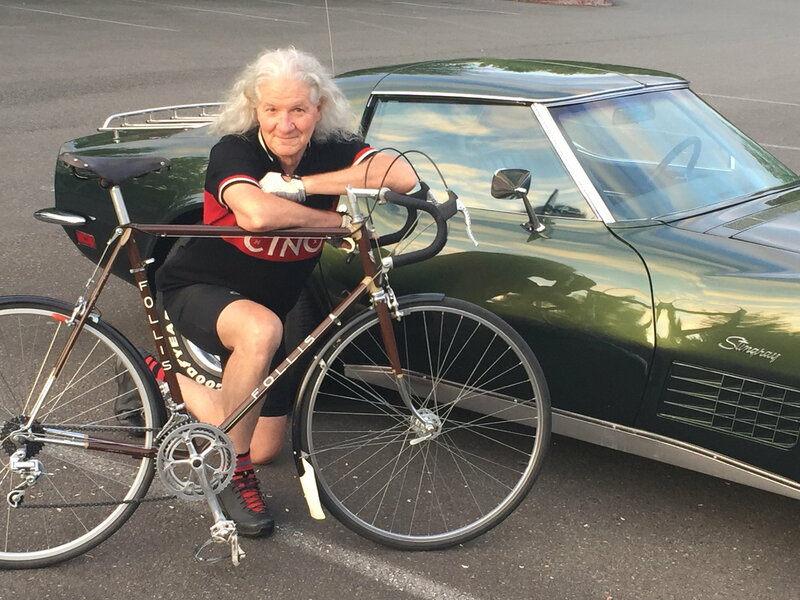 I find that a lot of people talk more about bikes than ride them. I last visited three years ago. Nothing special about me or my riding, although no car for 20 years, no motorcycle for 10. Bike/bus is the deal. Ride 100 to 130 miles a week during the warm weather here in SoCal, during the short Winter about 90 miles a week. Just turned 71, 6' and 215# fighting to get back to < 200#. I take no medications only a few supplements. BP 105/55 resting pulse around 56 bpm. I do power walk 5 miles twice a week. Power walk? Average 17 minutes a mile for 5. The bike, aside from a beater w/26" wheels, is a 2016 Jamis Auroura Elite that was bought as NOS. Still nick-nacking it with bits n bobs. Front and rear racks, no panniers as of yet. So looking forward to doing over 200 miles a week and packing my own provider. I did have a nice flat bar Trek stolen, cable lock, so now I use a Bully U-lock with pager alarm and Pit-Locks. This NYT article gives me a goal. Sure it has been linked before but do so for those that missed it. 6 short vids on youtube Merritt Wellness Center. 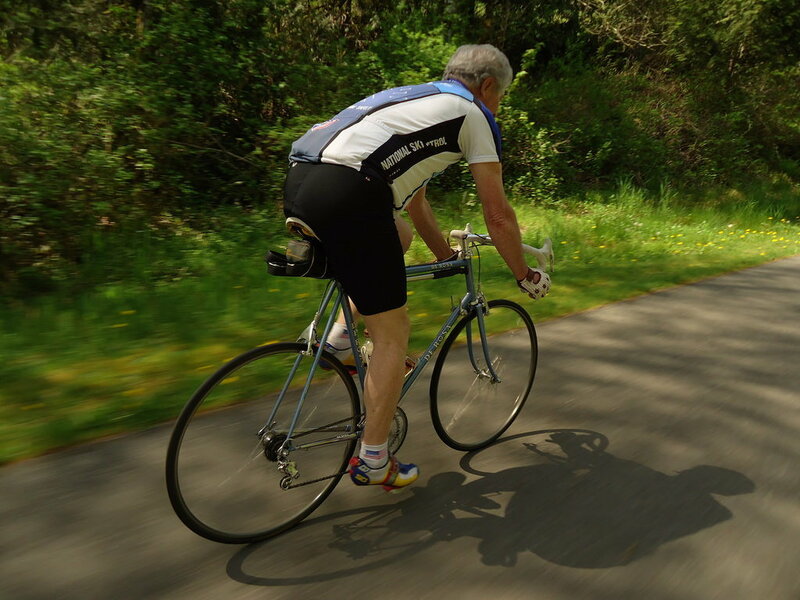 Dr. Merritt was once a serious cyclist and she nails what poor diet does to us. Also on youtube, Dr. John Bergman's advice on knees, hips and feet have kept me more active than any of my fat aging friends. The comment most of the fellow old guys lay on me it, "but you ride that bike." Like they can't do it. I try to encourage but none will have it. Long post? Yeah but I don't post often. ^^ Pursuance (John), ^^ Good on you. 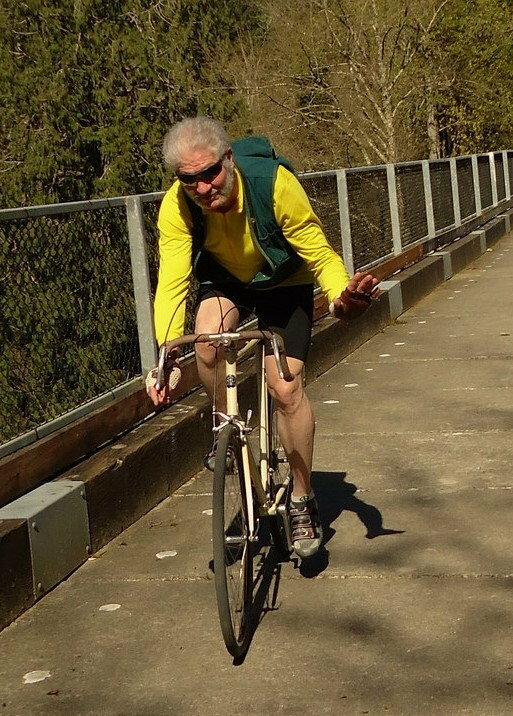 And thanks for the link to the article about the 105 year old cyclist. Very inspirational. Yes indeed , it is a worthwhile short read. Summer has arrived in SoCal with a sledge hammer. A string of 85f days and warm nights. Gotta ride out at 4:00 am to get her done. Sunrise while cycling is my church. My Bern Morrison helmet offers super protection but wanting venting. So I ordered an inexpensive well vented helmet. Hope it fits my 61cm fathead. Staying hydrated as we age can be an issue because that part of the brain that says thirsty starts to misfire. I count the times I pee during the day, even when not riding. I've got good venting but that can be a problem too... sun sleeves work out well I tried out a white skullcap (helmet liner) to cut down the UV and it worked out well too. Some come with a brim. Seem to stretch and must be enough for anyone as they don't come in sizes. Last edited by McBTC; 07-10-18 at 10:33 PM. I have two black skull caps for Winter wear. Just put a white SPF30 on the wish list for my next order. The skin on my forearms lived a rough life when I was a diesel mechanic so I always wear long sleeves and full fingered gloves. Bandanas? When the sun is up a bandana is around my neck and last month I started using a nose guard on my dark glasses. 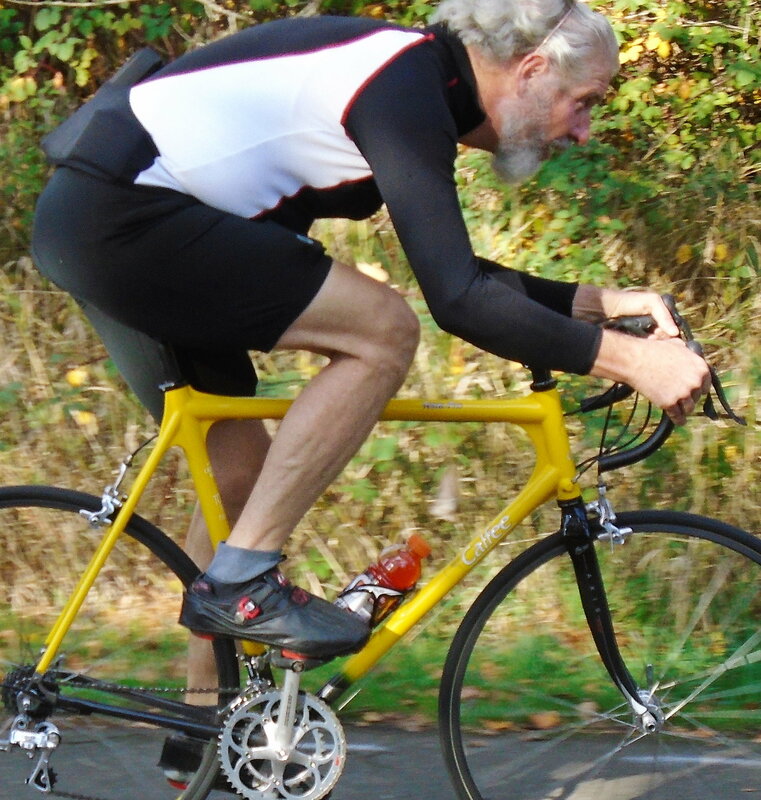 I'm considering one of those wide brims worn on the helmet as some recumbent riders wear. In my 7 decades i've been concussed 4 times... so I always wear a helmet, even to go to the local shops. .......................Summer has arrived in SoCal with a sledge hammer. A string of 85f days and warm nights. 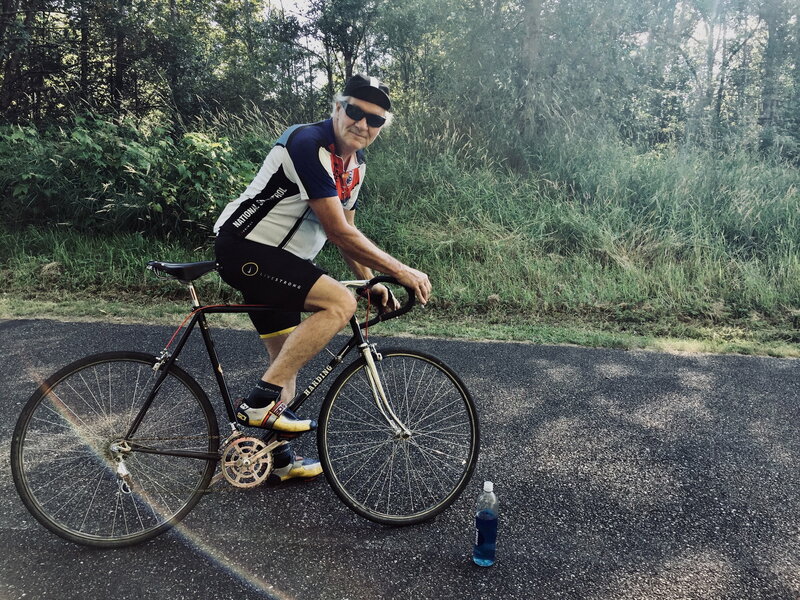 Yesterday I began my 68th Birthday ride at 12:01AM. Temperature was 81F with 90+% humidity and quickly went past 90F with wicked afternoon Thunder storm that I got stuck in. Put a damper on my miles with only 169 completed. Better luck next year. Your SUMMER arrival is more of an Estwing Rock Pick than a sledge hammer. I'm close to the coast and when temps go from 70f, 40% to 85f, 80% in two days that is a hit. Visiting relatives during the summer in the midwest was a chore. The basement was the only livable zone. Gotta say it, can't help myself. No one can survive 95f wet bulb for long. This morning rode from 4:45am till 7:00am, met with the guys till 8:00am, then rode off till 11:00am. I know I need more interval work out of the saddle. Really need to hook-up with some of the older SoCal guys. Can appreciate the difference in weather so quickly causing discomfort. Happened when we lived in NJ but since moving to SW FL those changes happen only in the winter months going DOWN not up so I FREEZE when the lower 70'sF start happening. Absolutely enjoy joining the morning group rides after putting in 70 to 100 miles. Typically I get met with a, "How many miles so far?" NO WAY older SoCal guys, hang with the younger crowd. ENJOY!!! Not sure about others, but I have enough roadies to justify a stuttering of affirmatives. In fact, there should be a few more positives. I’ll quickly check for evidence. Here’s very recents of 2 additional ones worth a ride. 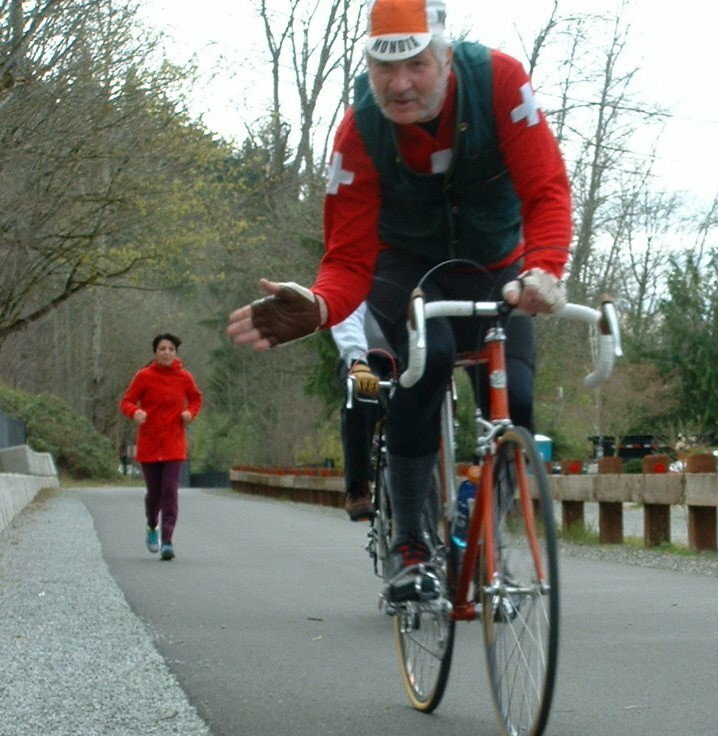 edit: newbies should always get slack, unless they question the veracity of 65+ cyclists. We’re the tough bunch, still working at it. Last edited by Wildwood; 07-15-18 at 03:25 PM. Wildwood, where is your helmet?